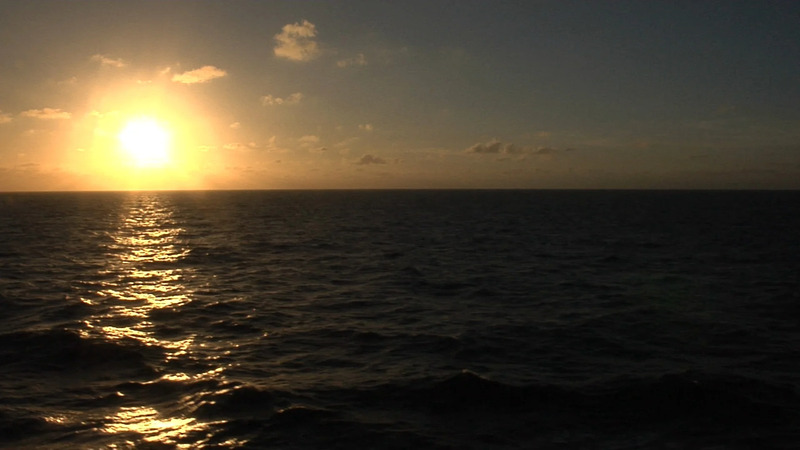 Description: Sun setting over expansive ocean horizon. Shot from ship underway. Sun framed on left side for title space on right.